Marína & Mikael er íslenskur jazz dúett sem stofnaður 2014. Að honum standa söngkonan Marína Ósk Þórólfsdóttir, nýútskrifuð frá Conservatoríunni í Amsterdam og gítarleikarinn Mikael Máni Ásmundsson sem heldur nú inn á sitt lokaár í sama skóla. Frá fyrstu æfingu var ljóst að ekki væri aftur snúið. Kristaltær rödd Marínu smellpassaði við litadýrðina í spilamennsku Mikaels og hefur þétt, músíkalskt samspil og sameiginlegur áhugi á jazz tónlist leitt til fjölda framkoma og tónleika, bæði á Íslandi og í Hollandi. Í haust senda þau svo frá sér sína fyrstu plötu. Marína & Mikael mæta nú til leiks á Jazzhátíð Reykjavíkur í fyrsta skipti. Þau hafa sett saman skemmtilegt prógram sem hannað var vorið 2016 og ber heitið “Beint Heim”. Efnisskráin samanstendur jazz standördum í akústískum og skemmtilegum útsetningum Mikaels, með íslenskum, persónulegum og oft hnyttnum textum eftir Marínu. Einnig munu þau telja í nokkur af sínum uppáhalds jazz númerum. Tónleikar Marínu og Mikaels fara fram laugardaginn 12.ágúst kl 16:00 á Classic sviði í Hörpuhorni. Marína & Mikael is an Icelandic jazz duet, founded in the Conservatorium van Amsterdam in the fall of 2014. 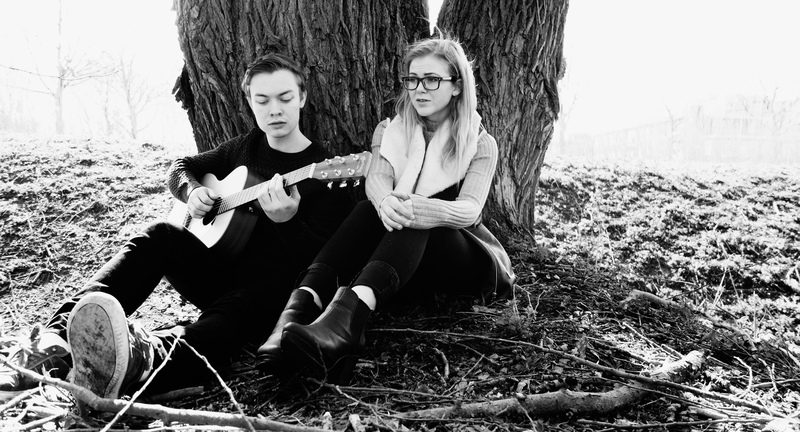 The duet consists of newly graduated jazz vocalist Marína Ósk Þórólfsdóttir and jazz guitarist Mikael Máni Ásmundsson, who will graduate in the spring of 2018. Since their first rehearsal, they haven’t been able to stop playing together. The crystal clear voice of Marína harmonized perfectly with the beautiful color palette of Mikael’s playing and their tight, musical sound and joined interest in jazz music has led to numerous concerts and performances, both in Iceland and in the Netherlands. On top of that, their debut album will come out in the fall of 2017. Marína & Mikael are playing Reykjavík Jazz Festival for the first time. They’ve put together a project, which they developed in the spring of 2016 and is named “Beint Heim” (transl. Straight Home). The program consists of jazz standards, acoustically and freshly arranged by Mikael with personal and often witty Icelandic lyrics written by Marína. Also they’ll perform some of their absolute favorite jazz standards. This concert takes place at the Classic stage, Harpa corner 16:00.